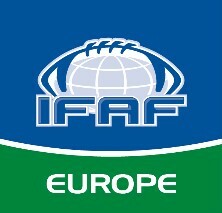 Please be warmly invited to enter your Mens and/or Female Flag National Team for the IFAF Europe CA EC2017 tournament and please see enclosed pages for information on the rules and regulations and entry. The tournament format is planned similar to the FLAG EC2015 format but depends on the final number of entries. We would be happy to have you all in this tournament and hope that you will make sure to respect the deadline (including payment) so that the Organizing Committee will be in a position to start organizing the tournament and making the necessary arrangements. In order to have this procedure completed, we will need to be aware of all participants.